1948 Dr W Grellet had been GP for most village families. 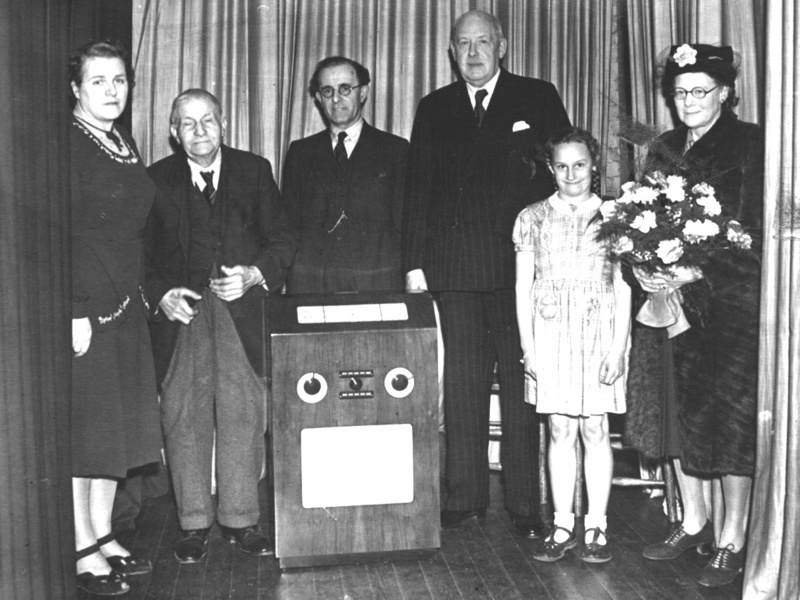 When he retired in 1948, a subscription list was opened and, at a ceremony in the Village Hall, he was presented with a radiogram from his many grateful patients. In the photograph L-R Stella Handscombe, one of the first babies he delivered, William Stapleton, the oldest Pirton resident at that time, Mr Bryant, headmaster, Josie Crawley, a schoolchild, and Mrs Grellet.